Smaller government fans may be in for a historic period. Due to severe budget crises, state governments throughout the U.S. are “cutting budgets” i.e. shrinking in size. Lack of money is forcing legislators, regardless of party affiliation, to shrink government spending. In many cases states can not just raise taxes and fees enough to close the gaps. Georgia, for example, this week, announced its revenue had shrank for the 15th consecutive month. Revenue for February 2010 is a whopping 41.3% below February 2007. January was down 27.3% from 2007. Georgia legislators are faced with figuring out how to run the state on less money. They will be forced to shrink the size of government. Georgia residents pay the 16th-highest state-local tax burden in the country according to the Tax Foundation. Georgia is not alone in facing severe cuts. He writes, “So how must state government adjust to meet the new challenges? Already governors are grappling with this issue. Almost every state has an internal process underway to examine how to cut costs, and several states have created formal task forces or commissions to look at cost- savings and streamlining. Most efforts start by exploring the traditional tools of budget cutting: targeted and across-the-board program cuts, reductions to local aid, layoffs, benefit cuts, furloughs, and salary reductions. In today’s environment, however, states quickly find that these options do not shift the cost curve sufficiently, and they must look at actions that change the way government does business. The challenge is that most of our legislators are reluctant to cut government programs. Segments of the voting community also want their favored programs protected. We may see a historic shrinking of state government if our legislators and voters reset budgets as circumstances dictate. Those in favor of smaller government will be tested and have an opportunity to influence this process. The Florida Bureau of Economic and Business Research reported that Florida for the first time since 1946 population saw it population shrink. 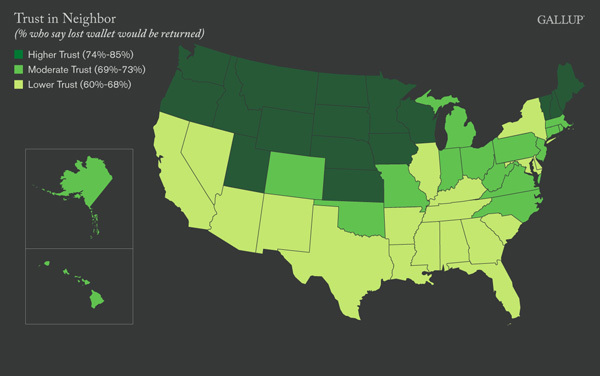 We had reported in January that increasingly people were no longer choosing Florida as the Best State to Retire. The Internal Revenue Service reported that more than 50,000 fewer tax returns were filed in Florida since 2005. See Florida Losing Population for more on the IRS filings and January report. The director of the University of Florida’s Bureau of Economic and Business Research Stan Smith said the population dropped by 58,000 people between 2008 and 2009. This is the first decline since large numbers ofmilitary personnel left the state in 1946 after World War II. Florida has become less attractive to many people on fixed incomes due to its expensive cost of housing particularly in South Florida and high real estate taxes and property insurance. If you are looking for a Best Place to Live or Retire, Florida has lost some mojo.